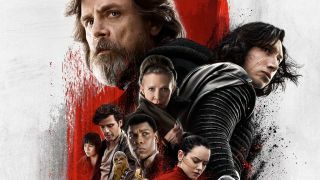 As the debate to remake The Last Jedi rage on (yes, that’s seriously happening), the last film in the main Star Wars saga has landed on Netflix. After launching first on Blu-ray and DVD back in March, the film is now available to stream on the service starting today, and joins other Disney-owned titles like Star Wars Rogue One and Thor Ragnarok. That being said, however, you’ll only be able to watch an HD/SDR version on Netflix. If you want the 4K HDR version in Dolby Vision with Dolby Atmos sound, you’re going to have to jump over to Vudu where you can rent the film to see it in all its 4K glory. Not into Vudu? iTunes, Google Play, Amazon and Fandango Now are four more spots you can stream and/or purchase the latest Star Wars film, or you can use Disney's Movies Anywhere service, which lets you watch the movie on any device that supports at least one of those aforementioned stores. All that said, if you're a Netflix subscriber already ... well, let's be honest, you've probably stopped reading and started watching the film already.